An arched wall punch pays homage to this 1930s Tudor-style condominium in NW Washington. 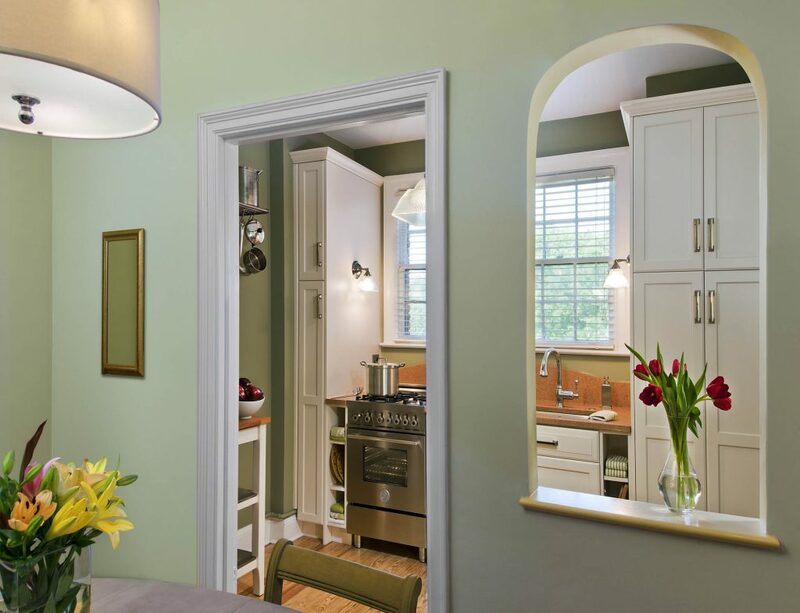 Adding the graceful opening—and removing the kitchen door—lets light flood the dining and improves flow between the rooms. 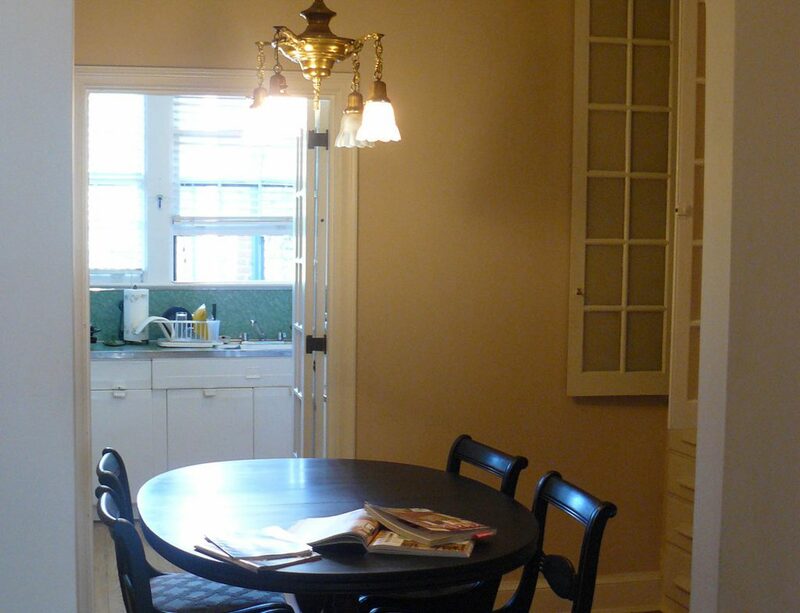 Creamy cabinets differ in depth to disguise the awkward angles of existing party walls, while a curvy backsplash completes the retro renovation. 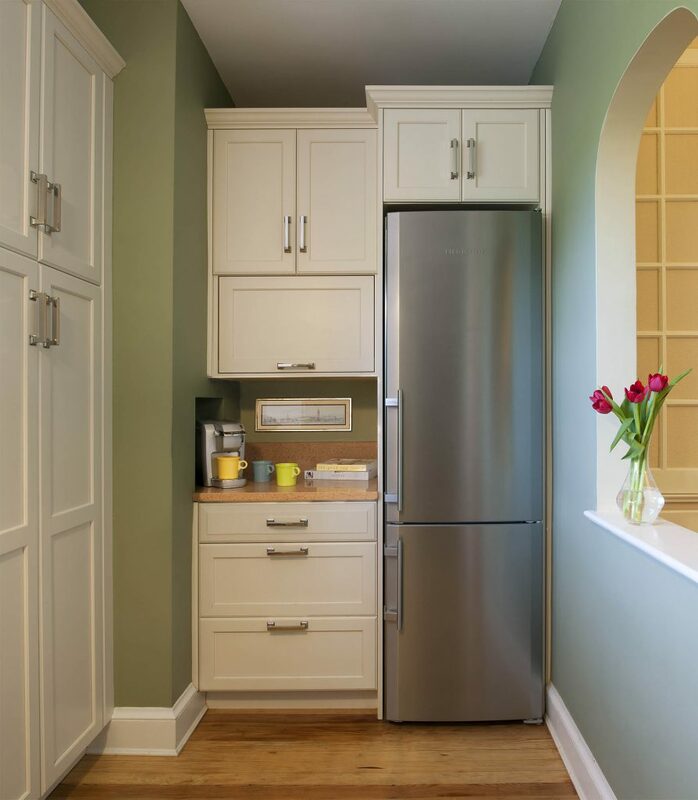 A tidy niche—once home to the building’s dumbwaiter—now makes room for a 24-inch-wide integrated refrigerator. 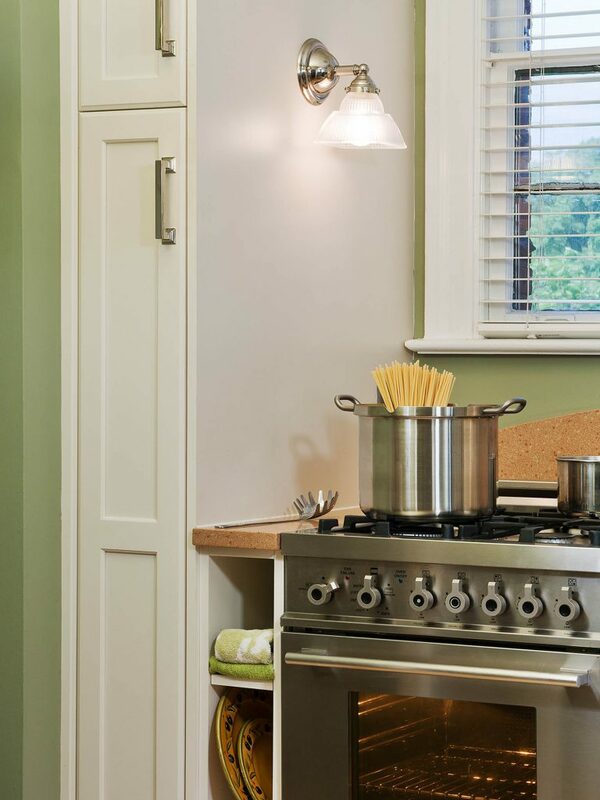 The clever cabinet configuration conceals a microwave and provides convenient landing space. Slender slices max out storage in the small kitchen. 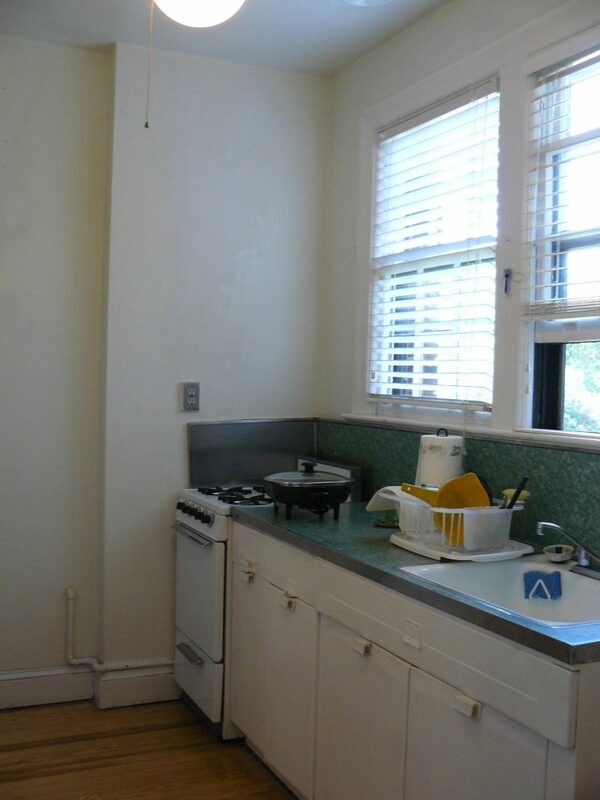 A tall, skinny cabinet holds brooms and other oversized items, while open shelved niches keep dishtowels close at hand. Featured in Home & Design, Small Spaces, Winter 2014.